Regarding our citations of Palestinian Jews’ use of “Palestine” and “Palestinian” in reference to themselves and their institutions in the 20th century, versus Arabs’ avoidance of the term during much of that span, our challenger does not contest our citations but simply calls “the question of ethnic continuity” and “the political question of which groups have described themselves as Palestinian” as “confusingly mixed.” On the contrary, such 20th century respective use and avoidance of the term “Palestinian” is part and parcel of the Jews’ real title deeds. We plead guilty to our challenger’s indictment that our article “seems to be suggesting” that Jerusalem’s Jewish rule in ancient times, current [since the mid-1800’s] Jewish majority population, and that “Arabs have not controlled Jerusalem since 1099 and even then were not local Arabs,” combine to “justify” Israeli rule of the city. #4: Our challenger acknowledges our fourth fact, “The Arab-Jewish Conflict created more Jewish than Arab Refugees,” to be a statement that “may well be true,” but asserts that the import of this fact is somehow dissipated by “the massacre of Arab villagers at Deir Yassin by a Jewish extremist group.” What happened to Arabs at Deir Yassin is contested and rightly so, as per testimony of many Arabs who witnessed the battle and testified to the truth, while what happened to Jews at Hebron, Jerusalem and countless other places in the land of Israel and Arab lands throughout the centuries, including the mid-twentieth century, is not. The Arabs who left tiny Israel are remembered, while the greater number (about a million Jewish families) of Israel-absorbed Jewish refugees from vast Arab and other Muslim lands, forcibly expelled leaving property and businesses behind, are forgotten. Nor is it remembered that in instances, as at Haifa, Jews made significant pleas to Arabs who were fleeing at the urging of the invading armies of the Arab states’ while Jews urging them to stay. We began our “Four Facts” article: “Most Westerners, including many Jews, are unaware of four fundamental facts about the Jewish homeland of Israel that would greatly increase their support for the Jewish State.” The letter forwarded by reader Cohen shows how deeply misunderstanding of these facts prejudices perceptions of Israel. If anything it may need to be re-incorporated or re-patriated. 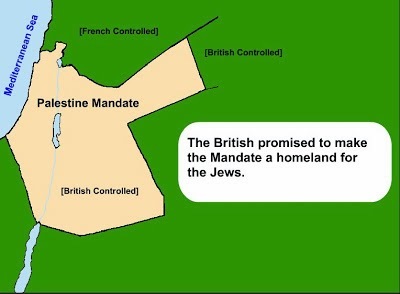 Jews hold title to the Land of Greater Israel even if outnumbered a million to one. The fact that more foreigners than Jews occupied the Land of Israel during certain periods of time does not diminish true ownership. If my house is invaded by a family ten times larger that mine does that obviate my true ownership?